Ferulic Acid is extracted from Rice Bran Oil, and is one of the most powerful natural anti-oxidants. many plants contain Ferulic acid, which plays a key role in the plants self-preservation mechanism, re-enforcing its cellular wall strength and protecting it from microbial damage as well as sun damage. That's great for plants but how does it help humans? Ferulic acid not only protects the skin from the sun’s harmful rays, but it actually helps reverse some of the damage your skin has already suffered due to the sun. This protection increases when it is is combined with vitamins C and E.
Vitamin C brightens skin, diminishes fine lines and wrinkles, evens skin tone for a more youthful glow and also helps fight sun damage. 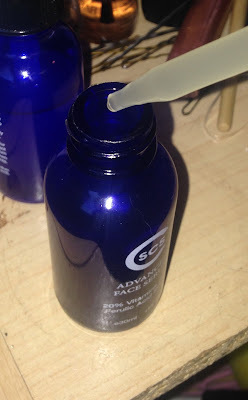 Vitamin E is an antioxidant that protects and repairs your skin, it is helpful for scar healing by giving skin its elasticity which is not present in scar tissue. Now that we know what this serum is, how do we use it? I used it as a moisturizer. I would drop 5 - 6 drops into the palm of my hand, rub my hands together and then gently pat the serum onto my face and neck. If areas needed a little more I would add a drop or two into my palm, using my middle finger, gently dab onto the areas. It definitely made my skin feel baby soft - non greasy residue. 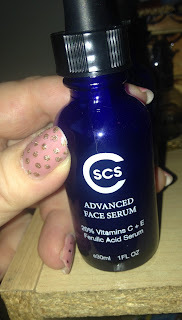 Did not clog my pores, overall I am pleased with this product! 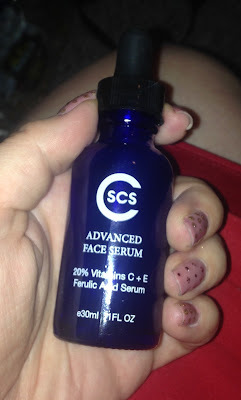 If you would like to purchase a bottle of Ferulic Acid with Vitamin C + E Serum on Amazon, click HERE!